The Los Angeles Jr. Kings have announced the field and schedule for their upcoming Carmen Starr Memorial Day Classic, which will run from May 27-30 at three Southern California rinks. 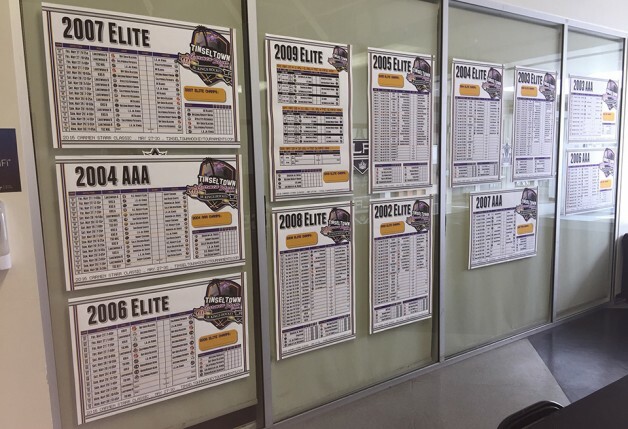 A record-high 79 teams from Alaska, Arizona, California, Colorado, Oregon, Texas, Alberta, British Columbia and Ontario, Canada, as well as Russia, will compete in 12 divisions: 2002 Elite, 2003 Elite, 2003 AAA, 2004 Elite, 2004 AAA, 2005 Elite, 2006 Elite, 2006 AAA, 2007 Elite, 2007 AAA, 2008 Elite and 2009 Elite. For the first time in the tournament’s history – 2016 marks the event’s seventh year – two girls teams will participate: the LA Lions in the 2007 AAA and 2009 Elite divisions. Games will be contested at Toyota Sports Center (El Segundo), The Rinks-Lakewood Ice (Lakewood) and KHS Ice Arena (Anaheim). Most Valuable Player awards will be recognized in the 2002 through 2008 divisions with each winner receiving a gift card, compliments of HockeyMonkey. Tournament vendors will include Fine Designs (http://www.finedesigns.com); My Own Sports (http://www.myownsports.com); Origami Owl (https://vickizangl.origamiowl.com); Notorious RED (http://notoriousred.com); and the Los Angeles Kings (http://kings.nhl.com). Kings Cove (http://www.kingscovebar.com) and Grimaldi’s Pizzeria (http://www.grimaldispizzeria.com) will serve as restaurant partners for the event. The Carmen Starr Classic is part of the Jr. Kings’ Tinseltown Tournament Series. Pre-registration will open for the Series’ 2016-17 season offerings in early June. For more information and to pre-register, visit http://www.tinseltownhockeytournaments.com.